Hydra. © 2003 Torsten Bronger. 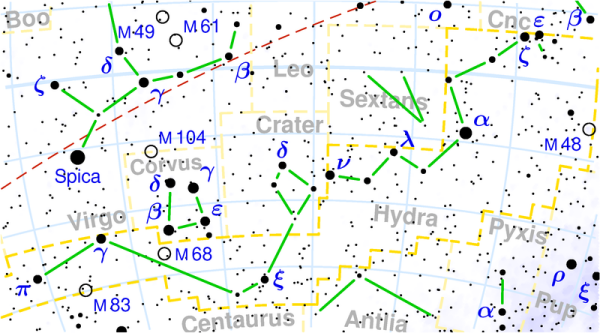 Hydra (abbreviation: Hya), the Water Serpent, is the largest constellation of all (following the dismantling of Argo Navis), stretching across a huge swathe of the southern sky. See below for details of the constellation's brightest stars and interesting deep sky objects.